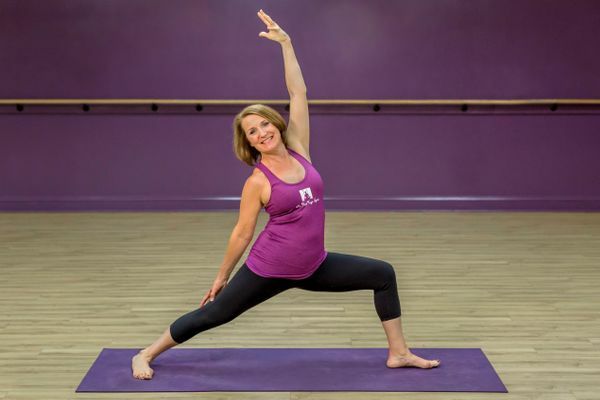 Mary Beth has been passionate about health, wellness and fitness throughout her life and discovered yoga’s healing benefits more than 20 years ago. After many years of yoga practice, Mary Beth completed her foundational 200 hour training at Urban Yoga Saratoga in 2012 and began teaching. She obtained her second 200 hour certification through Hot Warrior Yoga at The Hot Yoga Spot in 2014. She finished her advanced 300 hour program through Driftwood Yoga in 2016 completing her requirements for the RYT 500. She is registered with Yoga Alliance as an E-RYT, RYT 500 and continuing education provider. Mary Beth has received additional training and certifications with BarreFlow, restorative yoga, Tiffany Cruikshank’s anatomy for yoga teachers course, MBSR (Mindfulness Based Stress Reduction) and yoga for veterans/trauma sensitive yoga. Mary Beth earned her BA in Social Work from Siena College, and her MSW from the University at Albany. She practiced social work with children, adults and families for more than 20 years in school, home based and mental health settings. She has been working in higher education for the past 11 years. Mary Beth loves sharing the practice of yoga, and helping to make yoga’s empowering and healing benefits for body, mind and spirit accessible and safe for all. Her caring and engaging approach, her understanding of people, and her passion for helping others to achieve their goals on and off the mat are reflected in her classes. Her special teaching interests include yoga for runners and athletes, yoga for healthy aging, and mindfulness, meditation and yoga for stress and anxiety. Off the mat Mary Beth loves hiking, running and being outdoors with her family.